When you knit decreases all you're doing is narrowing your knitting by decreasing the amount of stitches on your knitting needle. 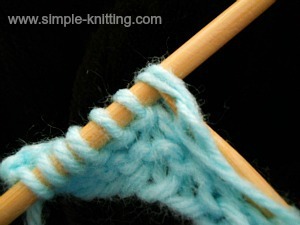 Maybe you are starting the shaping for the arms and shoulder area of a sweater pattern for instance. 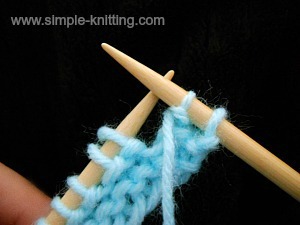 The basic knitting decreases that you will see are K2tog (knit two together) and SSK (slip, slip, knit) and they can either slant to the right (K2tog) or to the left (SSK). 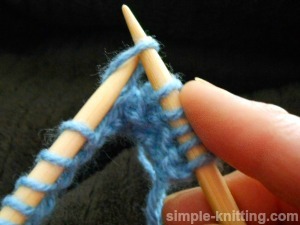 The reason there is a left slanting decrease and a right slanting decrease is to basically keep your knitting consistent. They compliment each other. 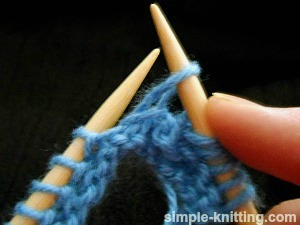 For instance say you're working on a sweater and you need to knit decreases for the armholes. On the left side you'll work the K2tog so the decreases will slant towards the right, and you'll also need to use the SSK on the right side so the decreases will slant to the left. The decreases will form a kind of 'A' up the back. 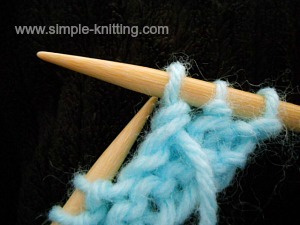 Most knit decreases are worked on the right side of your knitting however there are times when you'll need to work decreases on the purl side of your work as well. 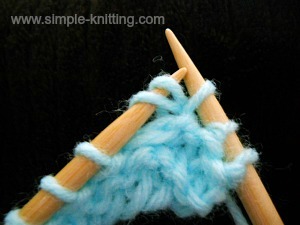 I'm including instructions for how to purl two stitches together (P2tog) also. It's best to be prepared. 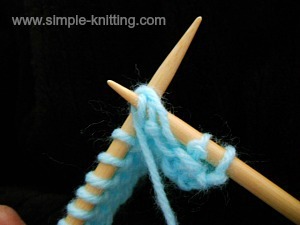 Make sure your yarn is at the back of your work. 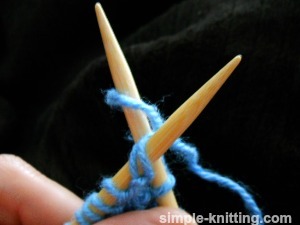 Holding the needle with all the stitches in your left hand, take your right needle and insert it through the first two stitches from front to back. 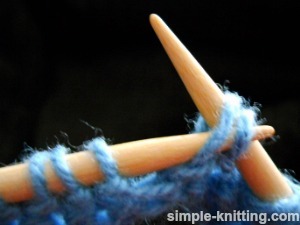 Wrap the working yarn (ball end) around your right needle counter clockwise and snug it up. 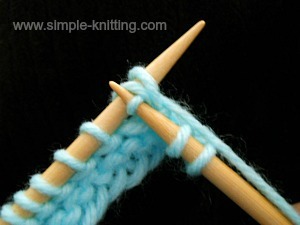 Slowly bring your right needle with the yarn still wrapped around it through the two stitches on your left needle. 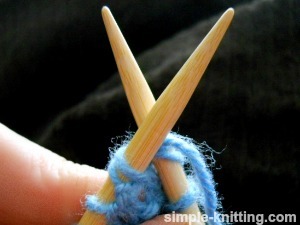 You can drop the two stitches on your left needle. They have just been worked. 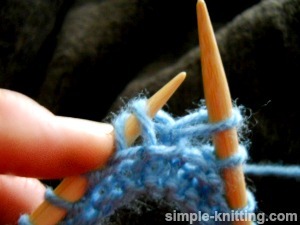 The new stitch is on your right needle. And there you go! That was pretty easy right? This is called knit two together (K2tog). 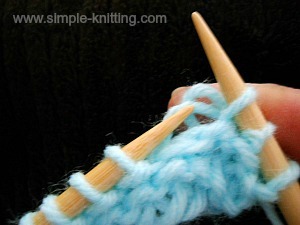 Because you are going to purl stitches make sure your yarn is in the front of your work. 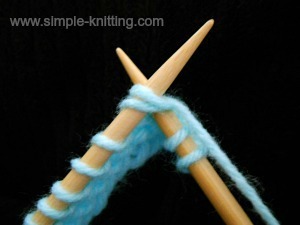 Wrap the working yarn around your right needle counter clockwise and snug it up a little. 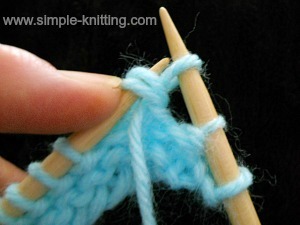 With your right needle and the yarn wrapped around it slowly bring it through the two stitches on your left needle. 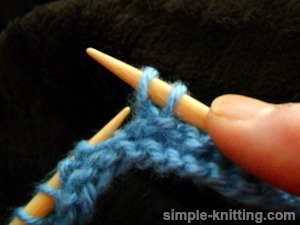 You can slip the two stitches off the left needle, they are worked. 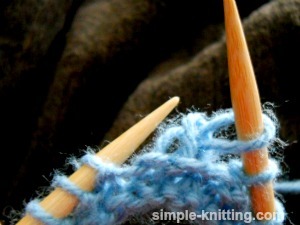 Your new purl stitch is on your right needle. There it is! 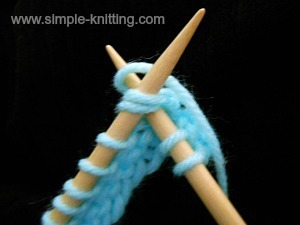 This is called purl two together (P2tog) and you did it! 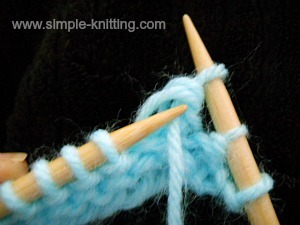 With the yarn at the back of your work, insert your right knitting needle into the first stitch on your left needle like you are going to knit it. (knitwise). 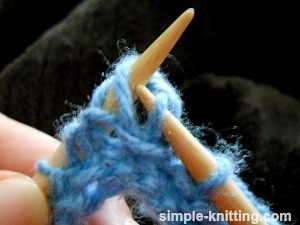 You see you want to have two stitches (unknit) on your right needle just like the photo above. With both stitches on your right needle insert your left needle into those two stitches. 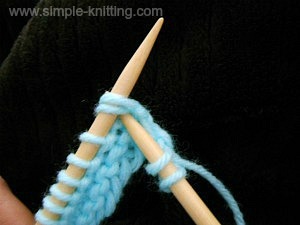 Now all you are going to do is knit those two stitches together. 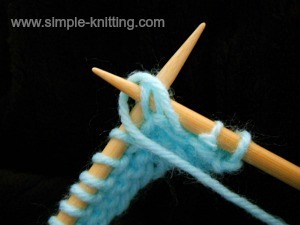 so with your working yarn (ball end) wrap the yarn around your right needle counterclockwise and bring it between both needles as in the photo. Snug it up a little bit. If you look closely at the first photo here you can see how I brought the right needle through the two stitches. 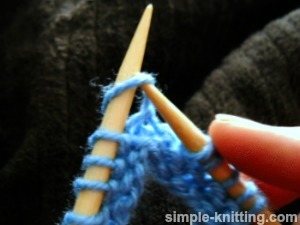 Once you are done you just let the two slipped stitches drop off the left needle. They have been worked. Just in case you aren't sure yet, here is a really quick and thorough knitting video to help you out. 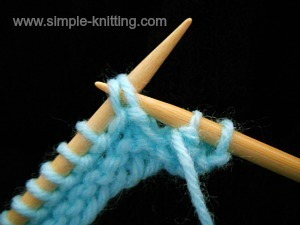 Often times in knitting patterns you will come to a part of the pattern where they will tell you to knit decreases evenly across your row. You could figure it out in your head of course but I came across a wonderful website where the calculations can be done for you. Oh joy, oh rapture! 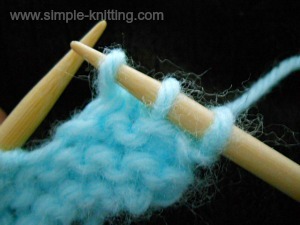 Head over to this page called How to Reduce Stitches Evenly Across a Row. All you do is enter in a few numbers and you'll know exactly when to make your decreases. 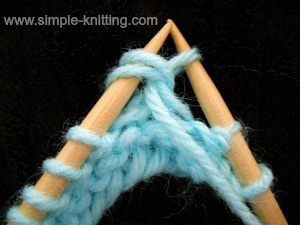 You'll also find a page for increasing stitches evenly across a row too. Now that's handy! I love it.